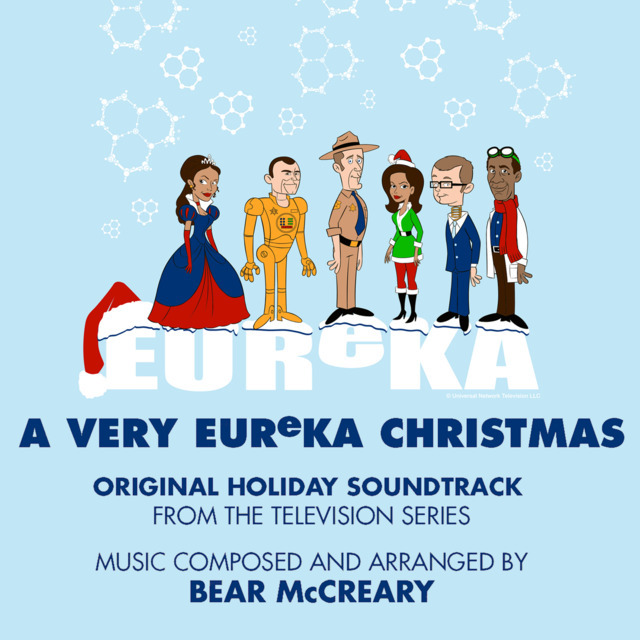 On Eureka, as the Global Dynamics employees celebrate the season at the company holiday party, staff member Dr. Noah Drummer (guest star Chris Parnell) nearly absconds with a volatile experiment. The halls get seriously decked when Dr. Drummer’s unstable hydrogen crystal starts to grow at a frightening rate. Carter (Colin Ferguson) and Henry (Joe Morton) attempt to deal with the potentially explosive crystal, but before long the true scope of the problem is revealed, and it will take more than tinsel and carolers to save Christmas and Eureka. Former series regular Matt Frewer also returns as Taggert. “When I first watched the episode with producers Jaime Paglia, Bruce Miller and Todd Sharp, we knew right away this one was special and would require a unique approach,” said McCreary. Bear brought in an orchestra to perform, and a special vocalist – Raya Yarbrough. Did you think there were going to be bears here, well there are just not the kind you have imagined. Now that is just cool.